Planet (from Ancient Greek ἀστὴρ πλανήτης(astēr planētēs), meaning "wandering star") is an astronomical object orbiting a star or stellar remnant that is massive enough to be rounded by its own gravity, is not massive enough to cause thermonuclear fusion, and has cleared its neighbouring region of planetesimals. The term planet is ancient, with ties to history, science, mythology, and religion. The planets were originally seen by many early cultures as divine, or as emissaries of deities. As scientific knowledge advanced, human perception of the planets changed, incorporating a number of disparate objects. In 2006, the International Astronomical Union (IAU) officially adopted a resolution defining planets within the Solar System. It is known that there is an infinite number of worlds, but that not every one is inhabited. Therefore, there must be a finite number of inhabited worlds. Any finite number divided by infinity is as near to nothing as makes no odds, so if every planet in the Universe has a population of zero... --Douglas Noel Adams. I remember on the trip home on Appolo 11, it suddenly struck me that that tiny pea, pretty and blue, was the Earth... - Neil Armstrong. This scheme or that, which pleases best, embrace,...Richard Blackmore. It is known that there is an infinite number of worlds, but that not every one is inhabited. Therefore, there must be a finite number of inhabited worlds. 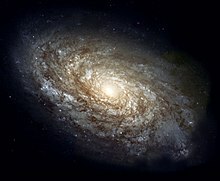 Any finite number divided by infinity is as near to nothing as makes no odds, so if every planet in the Universe has a population of zero then the entire population of the Universe must also be zero, and any people you may actually meet from time to time are merely the products of a deranged imagination. The fact that we live at the bottom of a deep gravity well, on the surface of a gas-covered planet going around a nuclear fireball 90 million miles away and think that this to be the normal is obviously some indication of how skewed our perspective tends to be. I remember on the trip home on Appolo 11, it suddenly struck me that that tiny pea, pretty and blue, was the Earth. I put up my thumb and shut one eye, and my thumb blotted out the planet Earth. I didn't feel like a giant. I felt very, very small. The only truly alien planet is Earth. The fact that this chain of life existed [at volcanic vents on the seafloor] in the black cold of the deep sea and was utterly independent of sunlight—previously thought to be the font of all Earth's life—has startling ramifications. If life could flourish there, nurtured by a complex chemical process based on geothermal heat, then life could exist under similar conditions on planets far removed from the nurturing light of our parent star, the Sun. Discovery always carries an honorific connotation. It is the stamp of approval on a finding of lasting value. Many laws and theories have come and gone in the history of science, but they are not spoken of as discoveries. 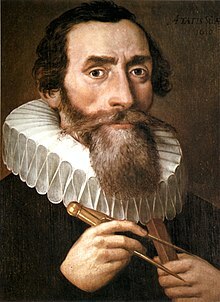 Kepler is said to have discovered the laws of planetary motion named after him, but no the many other 'laws' which he formulated. … Theories are especially precarious, as this century profoundly testifies. World views can and do often change. Despite these difficulties, it is still true that to count as a discovery a finding must be of at least relatively permanent value, as shown by its inclusion in the generally accepted body of scientific knowledge. There was yet another disadvantage attaching to the whole of Newton’s physical inquiries, … the want of an appropriate notation for expressing the conditions of a dynamical problem, and the general principles by which its solution must be obtained. By the labours of LaGrange, the motions of a disturbed planet are reduced with all their complication and variety to a purely mathematical question... - George Boole. There was yet another disadvantage attaching to the whole of Newton’s physical inquiries, … the want of an appropriate notation for expressing the conditions of a dynamical problem, and the general principles by which its solution must be obtained. By the labours of LaGrange, the motions of a disturbed planet are reduced with all their complication and variety to a purely mathematical question. It then ceases to be a physical problem; the disturbed and disturbing planet are alike vanished: the ideas of time and force are at an end; the very elements of the orbit have disappeared, or only exist as arbitrary characters in a mathematical formula. That the machine of Heaven is not a hard and impervious body full of various real spheres, as up to now has been believed by most people. It will be proved that it extends everywhere, most fluid and simple, and nowhere presents obstacles as was formerly held, the circuits of the Planets being wholly free and without the labour and whirling round of any real spheres at all, being divinely governed under a given law. There really are not any spheres in the heavens … Those which have been devised by the experts to save the appearances exist only in the imagination, for the purpose of enabling the mind to conceive the otion which the heavenly bodies trace in their course and, by the aid of geometry, to determine the motion numerically through the use of arithmetic. Most known extrasolar planets (exoplanets) have been discovered using the radial velocity1, or transit methods. Both are biased towards planets that are relatively close to their parent stars, and studies find that around 17–30% of solar-like stars host a planet. Gravitational microlensing, on the other hand, probes planets that are further away from their stars. Recently, a population of planets that are unbound or very far from their stars was discovered by microlensing. These planets are at least as numerous as the stars in the Milky Way. We only have to look around us to see how complexity … and psychic “temperature” are still rising: and rising no longer on the scale of the individual but now on that of the planet. This indication is so familiar to us that we cannot but recognize the objective, experiential, reality of a directionally controlled transformation of the Noosphere “as a whole. - Pierre Teilhard de Chardin. ...axioms [seven] were granted me. They follow in this order. 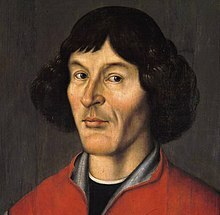 All the spheres revolve about the sun as their mid-point, and therefore the sun is the center of the universe....- Nicolaus Copernicus. After I had addressed myself to this very difficult and almost insoluble problem [circles of celestial sphere], the suggestion at length came to me how it could be solved with fewer and much simpler constructions than were formally used, if some assumptions (which are called axioms) [seven] were granted me. They follow in this order. It’s so hard to balance in our minds the knowledge that ‘the world’ is mundanely ‘a planet.’ The former is so holy; the latter merely a science project. 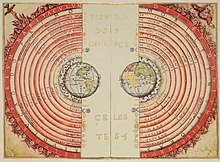 After a duration of a thousand years, the power of astrology broke down when, with Copernicus, Kepler, and Galileo, the progress of astronomy overthrew the false hypothesis upon which the entire structure rested, namely the geocentric system of the universe. The fact that the earth revolves in [[space] intervened to upset the complicated play of planetary influences, and the silent stars, related to the unfathomable depths of the sky, no longer made their prophetic voices audible to mankind. Celestial mechanics and spectrum analysis finally robbed them of their mysterious prestige. Thenceforth in that learned system of divination, which professed to discover from the stars the secret of our destiny, men saw nothing but the most monstrous of all the chimeras begotten of superstition. We will look upon the earth and her sister planets as being with us, not for us. And second planets issue from the first. 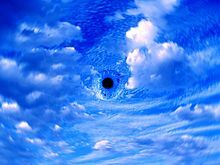 The first concept of a 'big bang' theory of the universe. A "planet" is defined a celestial body that (a) is in orbit around the Sun, (b) has sufficient mass for its self-gravity to overcome rigid body forces so that it assumes a hydrostatic equilibrium (nearly round) shape, and (c) has cleared the neighbourhood around its orbit. The Solar System consists of eight "planets" Mercury, Venus, Earth, Mars, Jupiter, Saturn, Uranus and Neptune. A new distinct class of objects called "dwarf planets" exist. "Planets" and "dwarf planets" are two distinct classes of objects. The first members of the "dwarf planet" category are Ceres, Pluto and 2003 UB313 (temporary name). Definition by International Astronomical Union (IAU) in: "News Release"
The "dwarf planet" Pluto is recognised as an important proto-type of a new class of trans-Neptunian objects. In 1684 Dr Halley came to visit him at Cambridge, after they had been some time together, the Dr asked him what he thought the Curve would be that would be described by the Planets supposing the force of attraction towards the Sun to be reciprocal to the square of their distance from it. Sir Isaac replied immediately that it would be an Ellipsis, the Doctor struck with joy & amazement asked him how he knew it, why saith he I have calculated it, whereupon Dr Halley asked him for his calculation without any farther delay. Sr Isaac looked among his papers but could not find it, but he promised him to renew it, & then to send it him. The Solar System's four giant planets against the Sun - The word planet comes from the Greek for “wanderer,” because the planets' positions change relative to those of the stars. The eight (formerly nine) recognized planets that orbit the Sun are, in order of increasing distance, Mercury, Venus, Earth, Mars, Jupiter, Saturn,Uranus, and Neptune. The first four are called terrestrial planets and the next four giant, or Jovian, planets. The word planet comes from the Greek for “wanderer,” because the planets' positions change relative to those of the stars. The eight (formerly nine) recognized planets that orbit the Sun are, in order of increasing distance, Mercury, Venus, Earth, Mars, Jupiter, Saturn,Uranus, and Neptune. The first four are called terrestrial planets and the next four giant, or Jovian, planets. The terrestrial planets (of which Earth is the largest) are rocky with comparatively thin or negligible atmospheres. The Sun's heat is thought to have prevented the abundant volatile substances in the solar nebula from condensing in them as they formed. The giant planets formed farther out, where the gases were cool enough to condense, so the planets grew very massive and accumulated huge atmospheres of light gases, mainly hydrogen and helium. None of the giant planets has an accessible surface; their gaseous atmospheres gradually merge with their liquid interiors. 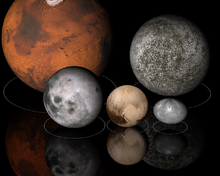 Merriam Webster Dictionary in: "planet"
Pluto, although it was recognized as a planet for decades, is distinct from either group, being much smaller than any of the eight planets and resembling a giant comet nucleus. In 2006 the International Astronomical Union demoted Pluto to the category of dwarf planet, which reflected astronomers' conclusion that it is a very large member of the Kuiper belt. Additional bodies rivaling or exceeding Pluto in size (e.g.,Eris) exist in the outer region of the solar system. The term minor planet is sometimes used to refer to any of the asteroids that lie mostly between the terrestrial and the giant planets. 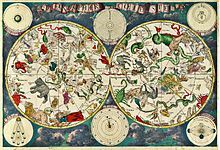 In astrology great importance is placed on the planets' positions in the 12 constellations of the zodiac. The planet : the planet Earth—used in informal phrases to say that someone is not aware of what is really happening or has ideas that are not realistic or practical. Astronomy is a cold, desert science, with all its pompous figures,—depends a little too much on the glass-grinder, too little on the mind. 'T is of no use to show us more planets and systems. We know already what matter is, and more or less of it does not signify. The lessons of science should be experimental also. The sight of a planet through a telescope is worth all the course on astronomy; the shock of the electric spark in the elbow out values all theories; the taste of the nitrous oxide, the firing of an artificial volcano, are better than volumes of chemistry. Epitaph on tomb of Isaac Newton at Westminster Abbey. 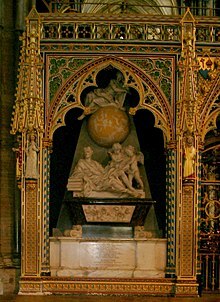 Here lies Sir Isaac Newton, Knight, who by a vigour of mind almost supernatural, first demonstrated, the motions and Figures of the Planets, the Paths of the comets, and the Tides of the Oceans... Let Mortals rejoice that there has existed such and so great an ornament of Nature. Sir, The Planet [Neptune] whose position you marked out actually exists. On the day on which your letter reached me, I found a star of the eighth magnitude, which was not recorded in the excellent map designed by Dr. Bremiker, containing the twenty-first hour of the collection published by the Royal Academy of Berlin. The observation of the succeeding day showed it to be the Planet of which we were in quest. Phases of Venus -But what exceeds all wonders, I have discovered four new planets and observed their proper and particular motions, different among themselves and from the motions of all the other stars; and these new planets move about another very large star [Jupiter] like Venus and Mercury, and perchance the other known planets, move about the Sun.... - Galileo Galilei. Animation of Mercury's and Earth's revolution around the Sun - I had rather be Mercury, the smallest among seven [planets], revolving round the sun, than the first among five [moons] revolving round Saturn. - Johann Wolfgang von Goethe. ...Therefore its former denominations, Pechblende, pitch-iron-ore, &c. are no longer applicable, and must be supplied by another more appropriate name. --- I have chosen that of Uranium, as a kind of memorial, that the chemical discovery of this new metal happened in the period of astronomical discovery of the new planet Uranus. - Martin Heinrich Klaproth. We see it [the as-yet unseen, hypothetical new planet, Neptune] as Columbus saw America from the coast of Spain. Its movements have been felt, trembling along the far-reaching line of our analysis with a certainty hardly inferior to that of ocular demonstration. Above the round domes of La Silla Observatory, three astronomical objects in the Solar System — Jupiter (top), Venus (lower left), and Mercury (lower right) ...First, That all Cœlestial Bodies whatsoever, have an attraction or gravitating power towards their own Centers, whereby they attract not only their own parts, and keep them from flying from them, as we may observe the Earth to do, but that they do also attract all the other Cœlestial bodies that are within the sphere of their activity; … -Robert Hook. I shall explain a System of the World differing in many particulars from any yet known, answering in all things to the common Rules of Mechanical Motions: This depends upon three Suppositions. First, That all Cœlestial Bodies whatsoever, have an attraction or gravitating power towards their own Centers, whereby they attract not only their own parts, and keep them from flying from them, as we may observe the Earth to do, but that they do also attract all the other Cœlestial bodies that are within the sphere of their activity; and consequently that not only the Sun and Moon have an influence upon the body and motion the Earth, and the Earth upon them, but that Mercury also Venus, Mars, Saturn and Jupiter by their attractive powers, have a considerable influence upon its motion in the same manner the corresponding attractive power of the Earth hath a considerable influence upon every one of their motions also. The second supposition is this, That all bodies whatsoever that are put into a direct and simple motion, will continue to move forward in a straight line, till they are by some other effectual powers deflected and bent into a Motion, describing a Circle, Ellipse, or some other more compounded Curve Line. The third supposition is: That these attractive powers are so much the more powerful in operating, by how much the nearer the body wrought upon is to their own Centers. Now what these several degrees are I have not yet experimentally verified; but it is a notion, which if fully prosecuted as it ought to be, will mightily assist the Astronomer to reduce all the Cœlestial Motions to a certain rule, which I doubt will never be done true without it. He that understands the nature of the Circular Pendulum and Circular Motion, will easily understand the whole ground of this Principle, and will know where to find direction in Nature for the true stating thereof. This I only hint at present to such as have ability and opportunity of prosecuting this Inquiry, and are not wanting of Industry for observing and calculating, wishing heartily such may be found, having myself many other things in hand which I would first complete and therefore cannot so well attend it. But this I durst promise the Undertaker, that he will find all the Great Motions of the World to be influenced by this Principle, and that the true understanding thereof will be the true perfection of Astronomy. Our Wisdom but a parasite of Truth? Damn the Solar System. Bad light; planets too distant; pestered with comets; feeble contrivance; could make a better myself. Cosmic dust of the Andromeda Galaxy - Once I got into space, I was feeling very comfortable in the universe. I felt like I had a right to be anywhere in this universe, that I belonged here as much as any speck of stardust, any comet, any planet. - Mae C. Jemison. Once I got into space, I was feeling very comfortable in the universe. I felt like I had a right to be anywhere in this universe, that I belonged here as much as any speck of stardust, any comet, any planet. 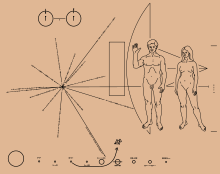 In the final analysis, our most basic common link is that we all inhabit this small planet. We all breathe the same air. We all cherish our children's future. And we are all mortal. ...it is absolutely certain and exact that the proportion between the periodic times of any two planets is precisely the sesquialterate proportion of their mean distances. - Johannes Kepler. ...Pechblende does not belong either to the ores of zinc, or to those of iron, nor yet to the genus of tungsten or wolfram, and in general to none of the metallic substances hitherto known; but, on the contrary, that it consists of a peculiar, distinct, metallic substance. Therefore its former denominations, Pechblende, pitch-iron-ore, &c. are no longer applicable, and must be supplied by another more appropriate name. --- I have chosen that of Uranium, as a kind of memorial, that the chemical discovery of this new metal happened in the period of astronomical discovery of the new planet Uranus. The historian of science may be tempted to claim that when paradigms change, the world itself changes with them. Led by a new paradigm, scientists adopt new instruments and look in new places. even more important, during revolutions, scientists see new and different things when looking with familiar instruments in places they have looked before. It is rather as if the professional community had been suddenly transported to another planet where familiar objects are seen in a different light and are joined by unfamiliar ones as well. NASA research facility in Ny-Ålesund. After the planet becomes theirs, many millions of years will have to pass before a beetle particularly loved by God, at the end of its calculations will find written on a sheet of paper in letters of fire that energy is equal to the mass multiplied by the square of the velocity of light. The new kings of the world will live tranquilly for a long time, confining themselves to devouring each other and being parasites among each other on a cottage industry scale. 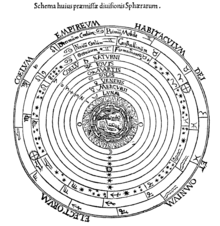 The Divine Comedy's Empyrean -Faustus: How many heavens or spheres are there? Mephastophilis: Nine: the seven planets, the firmament, and the empyreal heaven. Faustus: But is there not coelum igneum, et crystallinum? … - Christopher Marlowe. Faustus: How many heavens or spheres are there? Faustus: But is there not coelum igneum, et crystallinum? Meph. : No Faustus, they be but fables. Faustus: Resolve me then in this one question: Why are not conjunctions, oppositions, aspects, eclipses all at one time, but in some years we have more, in some less? Meph. : Per inaequalem motum respectu totius. Faustus: Well, I am answered. Now tell me who made the world. Faustus: Sweet Mephastophilis, tell me. Meph. : Move me not, Faustus. Faustus: Villain, have I not bound thee to tell me any thing? Meph. : Ay, that is not against our kingdom. This is. Thou are damn'd, think thou of hell. Faustus: Think, Faustus, upon God that made the world! Faustus: Ay, go, accursed spirit, to ugly hell!‘Tis thou has damned distressed Faustus’s soul. Is’t not too late. For nature is a perpetual circulatory worker, generating fluids out of solids, and solids out of fluids, fixed things out of volatile, & volatile out of fixed, subtle out of gross, & gross out of subtle, Some things to ascend & make the upper terrestrial juices, rivers and the atmosphere;... - Sir Isaac Newton. For nature is a perpetual circulatory worker, generating fluids out of solids, and solids out of fluids, fixed things out of volatile, & volatile out of fixed, subtle out of gross, & gross out of subtle, Some things to ascend & make the upper terrestrial juices, rivers and the atmosphere; & by consequence others to descend for a requital to the former. And as the earth, so perhaps may the sun imbibe this spirit copiously to conserve his shining, & keep the Planets from receding further from him. And they that will, may also suppose, that this spirit affords or carries with it thither the solary fuel & material principle of light; And that the vast aethereal spaces between us, & the stars are for a sufficient repository for this food of the sun and planets. Thus far I have explained the phenomena of the heavens and of our sea by the force of gravity, but I have not yet assigned a cause to gravity. Indeed, this force arises from some cause that penetrates as far as the centers of the sun and planets without any diminution of its power to act, and that acts not in proportion to the quantity of the surfaces of the particles on which it acts (as mechanical causes are wont to do) but in proportion to the quantity of solid matter, and whose action is extended everywhere to immense distances, always decreasing as the squares of the distances. Seeing therefore the variety of Motion which we find in the World is always decreasing, there is a necessity of conserving and recruiting it by active Principles, such as are the cause of Gravity, by which Planets and Comets keep their Motions in their Orbs, and Bodies acquire great Motion in falling; and the cause of Fermentation, by which the Heart and Blood of Animals are kept in perpetual Motion and Heat; the inward Parts of the Earth are constantly warm'd, and in some places grow very hot; Bodies burn and shine, Mountains take fire, the Caverns of the Earth are blown up, and the Sun continues violently hot and lucid, and warms all things by his Light. For we meet with very little Motion in the World, besides what is owing to these active Principles. And it were not for these Principles the Bodies of the Earth, Planers, Comets, Sun, and all things in them would grow cold and freeze and become inactive masses; and all Putrefaction, Generation, Vegetation and Life would cease; and the Planets and Comets would not remain in their Orbs. That the squares of the periodic times are proportion to the cubes of the major-axes. These laws were discovered by Kepler from observations made on Mars and stated by analogy as general laws, which, although not rigidly true, are sufficiently near to the truth to have led to the discovery of the law of attraction of the bodies of the solar system. 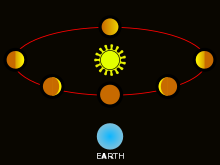 The deviation from complete accuracy is due to the facts, that the planets are not of inappreciable mass, that, in consequence, they disturb each other's orbits about the Sun, and, by their action on the Sun itself, cause the periodic time of each to be shorter than if the Sun were a fixed body, in the subduplicate ratio of the mass of the Sun to the sum of the masses of the Sun and Planet; these errors are appreciable although very small, since the mass of the largest of the planets, Jupiter, is less than 1/1000th of the Sun's mass. Klaatu: So long as you were limited to fighting among yourselves -- with your primitive tanks and planes -- we were unconcerned. But soon you will apply atomic energy to space ships -- and then you become a threat to the peace and security of other planets. That, of course, we cannot tolerate. Penguins are an indicator of the health of our watery planet, and if they are unable to survive, we had better take notice or we might find our own survival threatened. - Roger Tory Peterson. The nervous system is the most complex and delicate instrument on our planet, by means of which relations, connections are established between the numerous parts of the organism, as well as between the organism, as a highly complex system, and the innumerable, external influences. If the closing and opening of electric current is now regarded as an ordinary technical device, why should there be any objection to the idea that the same principle acts in this wonderful instrument? On this basis the constant connection between the external agent and the response of the organism, which it evokes, can be rightly called an unconditioned reflex, and the temporary connection—a conditioned reflex. 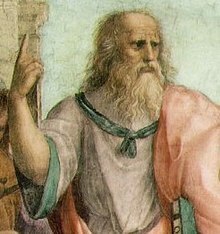 This order is as good as any other that can be framed under a geocentric hypothesis... - Plato. 360-degree panorama view of the Milky Way Galaxy...The Milky Way would girdle the heavens as before; some of our familiar constellations, such as Orion, would be little changed, though others would be greatly altered by the shifting of the nearer stars. An unfamiliar brilliant star, between Cassiopeia and Perseus would be—the Sun. Looking back at it with our telescopes, we could photograph its spectrum, observe its motion among the stars, and convince ourselves that it was the same old Sun; but what had happened to the rest of our planetary system we would not know. - Henry Norris Russell. If we lived on a planet where nothing ever changed, there would be little to do. There would be nothing to figure out. There would be no impetus for science. And if we lived in an unpredictable world, where things changed in random or very complex ways, we would not be able to figure things out. But we live in an in-between universe, where things change, but according to patterns, rules, or as we call them, laws of nature... - Carl Sagan. A celestial map from the 17th century. -Astronomy may be revolutionized more than any other field of science by observations from above the atmosphere. Study of the planets, the Sun, the stars, and the rarified matter in space should all be profoundly influenced by measurements from balloons, rockets, probes and satellites.... - Lyman Spitzer, Jr.. If we lived on a planet where nothing ever changed, there would be little to do. There would be nothing to figure out. There would be no impetus for science. And if we lived in an unpredictable world, where things changed in random or very complex ways, we would not be able to figure things out. But we live in an in-between universe, where things change, but according to patterns, rules, or as we call them, laws of nature. If I throw a stick up in the air, it always falls down. If the sun sets in the west, it always rises again the next morning in the east. And so it becomes possible to figure things out. We can do science, and with it we can improve our lives. Who are we? We find that we live on an insignificant planet of a humdrum star lost between two spiral arms in the outskirts of a galaxy, tucked away in some forgotten corner of a universe in which there are far more galaxies than people. - Carl Sagal. Who are we? We find that we live on an insignificant planet of a humdrum star lost between two spiral arms in the outskirts of a galaxy, tucked away in some forgotten corner of a universe in which there are far more galaxies than people. This is the excellent foppery of the world: that when we are sick in fortune—often the surfeits of our own behaviour—we make guilty of our disasters the sun, the moon, and stars, as if we were villains on necessity, fools by heavenly compulsion, knaves, thieves, and treachers by spherical predominance, drunkards, liars, and adulterers, by an enforced obedience of planetary influence, and all that we are evil in, by a divine thrusting on. An admirable evasion of whoremaster man, to lay his goatish disposition on the charge of a star! My father compounded with my mother under the Dragon's tail and my nativity was under Ursa Major, so that it follows that I am rough and lecherous. Fut! I should have been that I am had the maidenliest star in the firmament twinkled on my bastardizing. ...extending through all space, and compelling to their proper orbits, the planets, struggling fierce towards heaven's free wilderness. Astronomy may be revolutionized more than any other field of science by observations from above the atmosphere. Study of the planets, the Sun, the stars, and the rarified matter in space should all be profoundly influenced by measurements from balloons, rockets, probes and satellites....In a new adventure of discovery no one can foretell what will be found, and it is probably safe to predict that the most important new discovery that will be made with flying telescopes will be quite unexpected and unforeseen. We are prone to forget that the planet may be measured by man, but not according to man. The planets: then the monster, then the man. ...the life of the planet began the long, slow process of modulating and regulating the physical conditions of the planet. The oxygen in today's atmosphere is almost entirely the result of photosynthetic living, which had its start with the appearance of blue-green algae among the microorganisms. 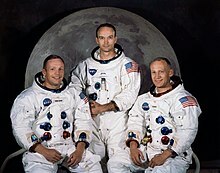 From the rocket we can see the huge sphere of the planet in one or another phase of the Moon. We can see how the sphere rotates, and how within a few hours it shows all its sides successively … and we shall observe various points on the surface of the Earth for several minutes and from different sides very closely. This picture is so majestic, attractive and infinitely varied that I wish with all my soul that you and I could see it. After the success of the confirmation of the existence of the planet Neptune, he considered the possibility of the discovery of a yet further planet. Scientists still do not appear to understand sufficiently that all earth sciences must contribute evidence toward unveiling the state of our planet in earlier times, and that the truth of the matter can only be reached by combing all this evidence.... -Alfred Wegener. Scientists still do not appear to understand sufficiently that all earth sciences must contribute evidence toward unveiling the state of our planet in earlier times, and that the truth of the matter can only be reached by combing all this evidence.... It is only by combing the information furnished by all the earth sciences that we can hope to determine 'truth' here, that is to say, to find the picture that sets out all the known facts in the best arrangement and that therefore has the highest degree of probability. Further, we have to be prepared always for the possibility that each new discovery, no matter what science furnishes it, may modify the conclusions we draw. One of the grandest generalizations formulated by modern biological science is that of the continuity of life; the protoplasmic activity within each living body now on earth has continued without cessation from the remote beginnings of life on our planet, and from that period until the present no single organism has ever arisen save in the form of a bit of living protoplasm detached from a pre-existing portion; the eternal flame of life once kindled upon this earth has passed from organism to organism, and is still, going on existing and propagating, incarnated within the myriad animal and plant forms of everyday life. Dilbert: And we know mass creates gravity because more dense planets have more gravity. Dogbert: How do we know which planets are more dense? Dilbert: They have more gravity. Dilbert: I prefer to think of it as having no loose ends.